You should make sure you return the car in a clean state so it’s ready for whoever drives it next. In most cases, you shouldn't need to get it cleaned but if it's particularly dirty you should give it a quick clean before you return it. Make sure you take any rubbish or personal items with you, give the floor mats a quick shake, and clean up any mess you or your passengers have made. In most cases there’s no need to get the car professionally cleaned before returning it. If the car is particularly dirty, for example if you've been to the beach and there's sand in the car, you may need to give it a quick clean. Swing by the nearest car wash to give it a quick vacuum or wash so it's ready to go for the next driver. This should only take a few minutes and cost a few dollars, but is crucial for keeping our car-sharing system running smoothly. Fines may apply for returning a car dirty, so make sure you take a few minutes to clean up after yourself. 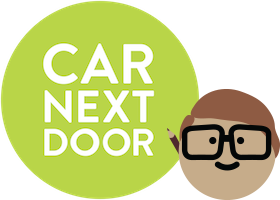 We rely on our community of car-sharers to do the right thing by each other, so we ask that you return the car in the state in which you would expect to receive it as its owner or next Borrower. We hope we won't need to use them, but you should be aware that fines apply if you leave the car dirty or messy, as set out in the Fee Schedule.